Flemish Maroger is our most popular painting medium. Simply add this all-in-one medium to your paint to match your style of painting. Use Maroger for wet into wet, wet over dry, glazing, sculpting and more! Watch a video demo below to learn more. Flemish Maroger is an all-in-one painting medium. Its versatility and protective finish have been utilized for centuries. Maroger was discovered by Jacques Maroger, painter and former curator of the Louvre in the early 20th Century. Maroger worked to uncover the secret formulas used by Old Masters such as Titian, Rubens, Van Dyck, Velasquez, as well as others. Consisting of Black Oil and Mastic Varnish, this medium comes in the form of a soft jelly and is often referred to as liquid glass. "The jelly is of an amber color ... 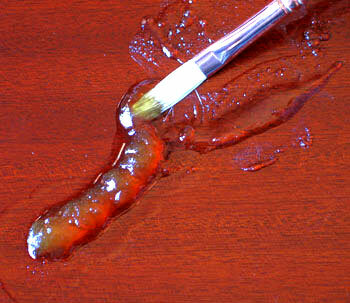 It is like a liquid glass with which the painter invests his pigments. It possesses the extraordinary property of congealing in the air and of becoming ductile again at the touch of the brush. Drawn by the brush, it moves fluently over the canvas. As soon as the brush is removed, it becomes firm and congeals immediately - ready, again to become every bit as ductile at the next touch of the brush. *"
Wikipedia states, "There are extant pictures of at least two centuries painted with the documented use of Maroger medium that have been very well preserved." With Maroger's medium the artist can paint wet into wet, wet over dry, or glaze in layers with surprising facility. As the painter continues to work, the Maroger gradually sets up (or stiffens) within the paint, creating a slight ‘pull’ or dragging texture. 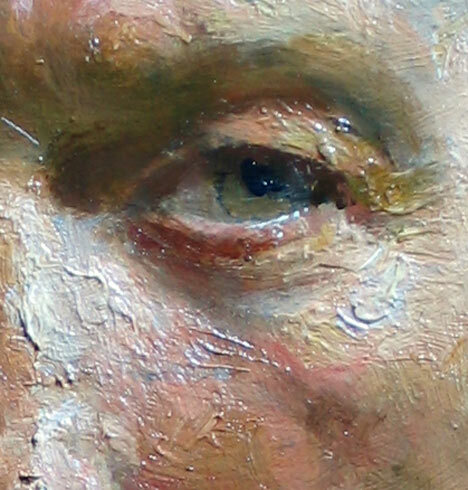 Moving and sculpting the paint with the brush, dragging one piece of paint into another, the artist creates incredibly luminous and subtle passages so often achieved by the Old Masters. Poorly manufactured alkyd mediums set up too quickly, and make these subtle passages impossible. 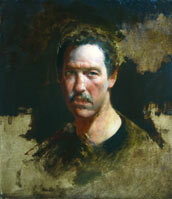 Other mediums often take days to dry, thus crippling the painter’s progress and ultimately wasting valuable time. Marogermedium generally dries overnight, allowing the artist to continue working without having to wait days for passages to dry. Old Masters Flemish Maroger is the most versatile painting medium on the market. 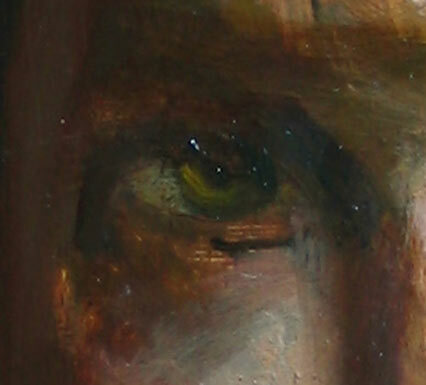 It allows the artist to produce thick and lustrous brushstrokes for more intense lights (see detail above), as well as thin and transparent glazes for shadows and dark passages (see detail left). These two elements combined increase depth and visual impact bringing your paintings more to life with each application! * "Secret Formulas and Techniques of the Masters,"